Astrouser.com has been created with the intention of providing unique platform to all the users of the divine science Astrology for seeking guidance, providing astrological services, sharing views, publishing articles, research to develop the science further with a focus on research and propogation of KP astrology in the world. The Visionary behind this has been Sri Rajendra Nimje, ex. I.A.S. He is a ardent follower of in KP Astrology and has been guided by many spiritual masters and exponents in Astrology. He has traveled to many parts of the globe and is a constant invite to many Astrology forums. With over 25 years of experience in KP Astrology he has developed a unique system called ‘Sub Harmonics’ and also a most user friendly Astrology software for the benefit of Astrologers. He is supported by a team of dedicated and well qualified panel of astrologers and professionals who believe in the philosophy of utilizing the divinescience for the benefit of the society. 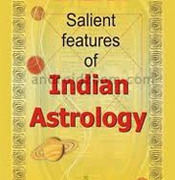 Astrouser endeavors at covering all the diverse aspects and various traditions of Astrology which includes Vedic, Western, and Stellar, Zodiac system, Vaastu, Numerology and other systems. Astrouser not only provides with the predictions of the future but also intends to provide a better wholesome living by offering various remedies and astrological cures recommended by our panel of astro-experts. Astrouser also aims at providing easy access to learners to strengthen the learning through discussions forums you in this arena the contents of this section aim at providing you with organized views, principles analytical ability, and judgment power in order to easily comprehend the subject. These lessons can be employed by you to deftly read horoscopes and advise accordingly. Astrouser is an unique site where all the users of Astrology i.e. people from all walks of life, Learners, Knowledge seekers, Astrologers, Experts in Numerlogy, Vastu,Vedic rituals. Astrological remedies are on one platform providing services to the needy. Astrousers want to create a free atmosphere to bring expert Astrologers to the portal and also allow users to transact with them in a free and fair manner where users have a choice of selecting Astrologers from a panel based on their experience and expertise. User also have a choice to select a specific services or remedy directly. Kindly contact us at rajendra@astrouser.com, in case you have any queries or want to buy any thing specific which you could not find on our product catalogue. Our marketing team will call on you with further details. Astrouser.com has been setup with a mission to be an unique astrological portal that encompasses all the variants of Astrology and provides everyone a solution / direction as is revealed by the divine science. In the process of achieving it mission Astrouser .com is the convergence point of all Astrousers and serves as a platform where all the astrological services are rendered under one roof.Astrouser mission is to become the most preferred gateway for all astrological services to the professional astrologers and to the members of the society. It aims to provide a transacting potal for Astrology and Astrouser where Astrology can offer various kinds of services and remedies to the users and whether users have choice to select Astrology of their choice depending on their experience and specialization and also having a choice different kind of services and remedies under one roof. Astrouser.com assures the delivery of services / products and ensures atmosphere being free transactions between two parties living highest transaction management to the Astrouser team. Astrouser also aims to provide online support to these portal for all its products and services being offered directly or otherwise. Astrouser also serves a forum where the divine science is perfected through constant exchange of experiences. Astrouser mission to become the number one astrological site for sharing and conducting research in Astrology primarily on KP Astrology.